Zyprexa assists in the suppression of a variety of negative psychotic episodes, like those of schizophrenia and bipolar disorder. Learn the safe usage. Zyprexa is an atypical antipsychotic medication used to alter the chemicals in the brain to help reduce the impact of psychotic conditions. This medication has a variety of side effects, including the risk for developing diabetes that will need to be monitored while you use this medication. Because the medication is intended for long-term use, it may be necessary to adjust your medications from time to time to help ensure that your body is still reacting appropriately to this medication. Work closely with a doctor to help ensure that you are getting the proper treatment for your condition. 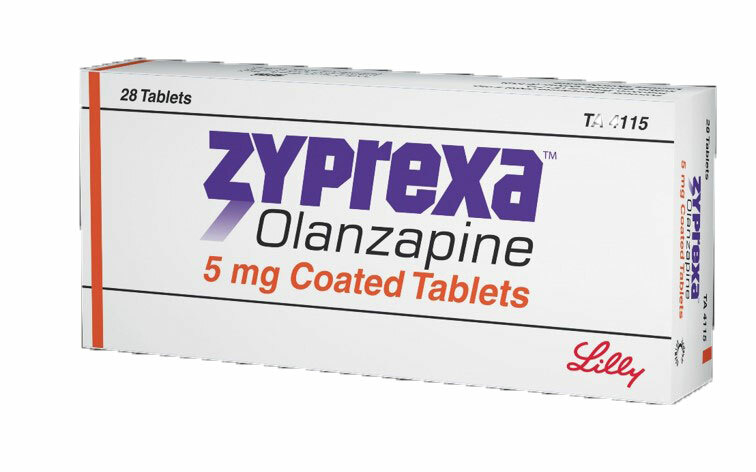 Zyprexa is the brand name of the drug olanzapine, which is used to treat psychotic conditions including bipolar disorder and schizophrenia. This may be used alongside antidepressants or other antipsychotic medications, though these treatments have not been shown to have effects on dementia. Dosing will vary by patient, so it is important to review all instructions with your doctor before starting your prescription. Your instructions may differ from those on the packaging. Do not double up doses to make up for those you have missed. You can take this drug with or without food. You will typically take this medication around the same time every day to help ensure that you have a steady stream of medication at all times. Disintegrating tablets should be kept in their packaging until it is time to take your medication. Be sure to remove the tablet from the packaging with clean, dry hands so it does not start disintegrating until it is in your mouth. Follow this dose with liquid to ensure all of the medication enters your system. Adults will be started on 5-10 mg when it is being used to treat schizophrenia. Ideally this will be increased to 10 mg per day within the first few days of taking the medication. Those treating bipolar disorder will be started on 10-15 mg per day. Adolescents treating bipolar disorder will be started at 2.5-5 mg per day, which will be increased up to 10 mg per day depending on the reaction to the medication. Doses should not exceed 20 mg per day in patients. This medication is not intended to be used by patients under 13 years of age. Those with liver or heart disease or who have suffered from seizures or diabetes may not be able to use this drug as it may make their condition worse. Talk with your doctor about these risks before you start your dose to determine if it is safe to use. Elderly patients with dementia may see an increased risk of death when using this drug. It is vital that you speak with your doctor about how to address this risk before you begin your prescription. The most common side effect is drowsiness occurring in 48 percent of users. This is followed by dry mouth in 32 percent, weight gain in 26 percent, increased appetite in 29 percent, dizziness in 18 percent, weakness in up to 18 percent, headache in 17 percent, fatigue in 14 percent, accidental injury in up to 12 percent, insomnia in 11 percent, heartburn in 11 percent and thirst in 10 percent. These side effects are usually mild and do not affect the patient's ability to take their medication as prescribed. Report these side effects to your doctor so they can be monitored during your progress. Less common side effects, occurring in 5 to 9 percent of patients include personality changes, low blood pressure, shakiness, back pain, fever, joint pain, changes in walking pattern, irritated or runny nose, coughing, speech problems, increased salvation, and memory loss. These side effects are not dangerous, but should be reported to your doctor so they can determine the best course of treatment to help minimize these effects. Pregnant women should not take this drug in the last 3 months of pregnancy. This may cause feeding problems, breathing problems, tremors, fussiness and stiff or limp muscles in your infant. It can also be passed to your infant while breastfeeding, which may cause negative effects. Talk with your doctor about a proper way to step down from your medication during this time to avoid withdrawal effects. If you begin to suffer from slurred speech, confusion, increased heart rate, jerky or uncontrolled movements, trouble breathing, fainting, aggression or agitation you may be suffering from an overdose of your medication. Contact emergency medical services as well as poison control to get help as quickly as possible. This drug may cause diabetes in patients who use this for long-term treatment. If you begin to notice high blood sugar, frequent urination, extreme hunger or thirst or rapid weight gain you may be developing this condition. Talk with your doctor about getting tested to determine if you need to begin diabetes treatment. Medications known to interact with this drug include olanzapine, blood pressure medication, carbamazepine, diazepam, fluoxetine, fluvoxamine, omeprazole, rifampin, or medication for Parkinson's disease. Tell your doctor if you are using any of these medications before you begin using this drug, so your doctor can determine if a change in your prescriptions is necessary. Medications such as alprazolam, diazepam, colanzepam, lorazepam, or temazepam may increase your risk of side effects while using this drug. Initially this drug may impair your ability to think or react at your normal rate. You should avoid doing anything that requires you to be fully alert until you know how this will affect you. You may also feel dizzy if you get up too quickly from a sitting or lying position. Keep something nearby that can help you steady yourself should this effect occur. Drinking alcohol while using this drug may increase these conditions.